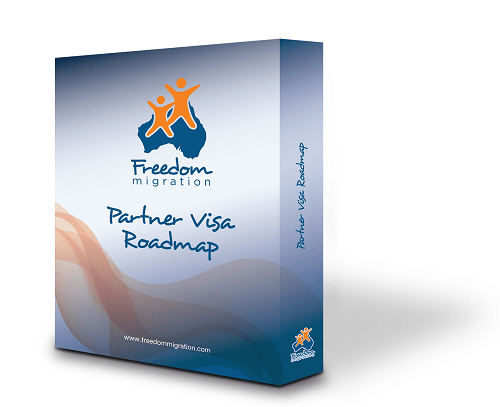 This week Sophia and I have teamed up to bring you the latest on what changes have actually been made as of the 1st of July 2017 to the Partner Visa process. There has been so much speculation over the last few months about what might happen… We have stayed out of the conversation until now as when it comes to migration advice, it is always best to deal with the facts and the law as it stands currently. Speculation can cause people to rush and not submit the best application possible. The New Financial Year for the Department of Immigration usually sees a new round of rule changes and this financial year was no different to any other; however, thankfully for Partner Visa applicants and the loved up couples we look after at Freedom Migration, the changes aren’t for you… Phewww!. A lot of the new changes predominantly affect people applying for visas from the employer sponsored program or skilled migration program. For Partner Visa application we’ve clarified below what has changed and what has not this 1 July 2017. Keep in mind migration laws change frequently, so reading this blog while informative may not be relevant at the time you’re ready to lodge a Partner Visa, so make sure you book a consultation in with us to get up to speed before you lodge any Australian visa. Upon grant of sponsorship, the visa applicant lodges the Partner Visa application. The purpose of this change was to prevent certain Australian citizens and/or permanent residents with a significant criminal history from sponsoring someone for a Partner Visa. Thankfully this change has not come into effect for now; however this change looks to be something that will be addressed and potentially implemented in 2018. So as we said keep an eye out and make sure the information you have is current at the time you lodge any visa. Now thankfully we didn’t wake up to an outrageous fee increase for Partner Visas on 1 July 2017. The Partner Visa fee has increased by about $150, bringing the lodgement fee up to $7000 for the main applicant. Remember there is also a credit card surcharge to add on to this if you lodge the application online. Lodgement forms have been updated. This only affects couple’s who are lodging their Partner Visa applications on paper. At Freedom Migration our preference is to lodge applications online; however for those of you who prefer to lodge a paper based application be sure to check the sponsorship form namely the 40SP is up to date. This is something that you need to be very careful with if you are lodging a paper based application, as Immigration forms change all the time so make sure you are using the current forms. Now, unfortunately, the time it takes Immigration to assess and process Partner Visa applications has not improved with the new Financial Year. For couples applying for Partner Visas from INSIDE Australia, so the subclass 820 visa, processing times on average are taking 17 months with some taking more than 19 months. We spoke is our previous blog about how having a badly prepared application could slow the processing of your application. If you haven’t see it, you can check it out here. Offshore Partner Visa applications are taking on average 11 months, with some taking more than 15 months, again you can find out more about this in our previous blog post about this. Check it out here. For the Prospective Marriage Visas, processing of your application could take 12 to 17 month right now. If you are a couple who have already lodged an application, you too should expect processing times to blow out. While it’s difficult to know how long, it’s clear on the whole that the Partner Visa section at the Department of Immigration is facing delays. So all in all the new financial year hasn’t been too bad for those of you planning to lodge a Partner Visa application. We’ve certainly woken up to worse news in previous years. Stay tuned as we will do another blog post soon that talks about what the Department of Immigration and Border Protection have in mind for the Partner Visa program later down the track.